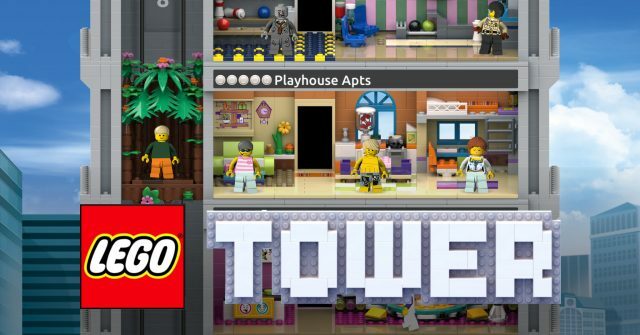 Even if you’re not an Xbox, PlayStation, or Nintendo gamer yourself, and even if you’ve never played one of the many LEGO games, it’s hard not to appreciate the strange and stunning LEGO creations inspired by video games. 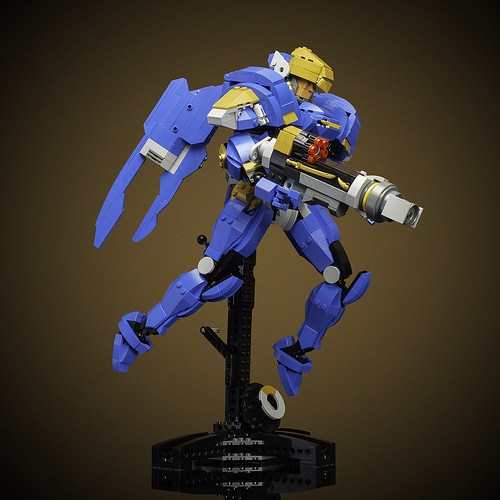 Look for lots of LEGO models inspired by Halo, the Legend of Zelda, Gears of War, Pokemon, Final Fantasy, and more. Game on! Legend of Zelda fans are sure to enjoy this Poe Soul by Julius von Brunk. 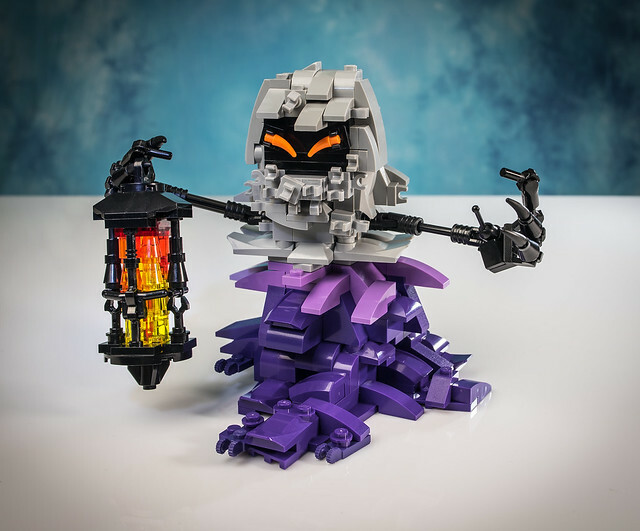 With its customary lantern and mischievous gaze, Hyrule’s favorite apparition looks no less troublesome recreated in LEGO-form. The outstretched hands and flowing, smoke-like base of this hooded wraith conveys a sense of movement, as if this Poe has been plucked straight from the TV screen. Poe’s torn hood is even represented here, and it features just the right amount of detail. 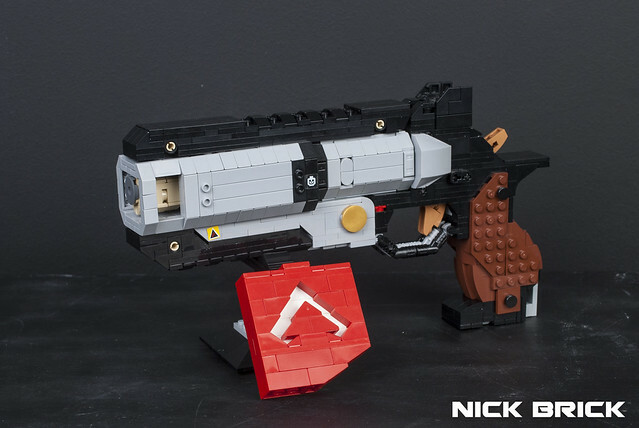 While they might be one of the game’s more annoying enemies, this LEGO version of Poe is a delight to see. 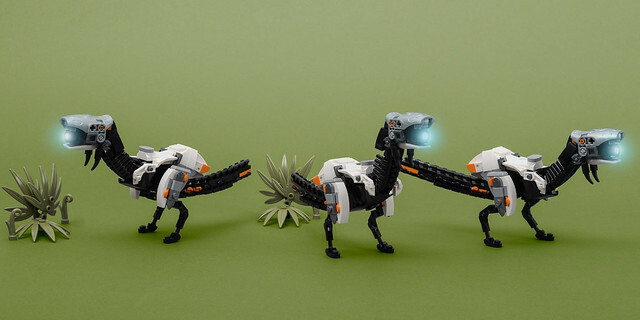 When Sony released Guerrilla Games’ Horizon Zero Dawn for Playstation 4 back in 2017, I knew right away it was going to inspire some awesome LEGO creations based on the terrifying dinosaur-like robots which serve as the game’s main focus. Accomplished German builder Marius Herrmann was quick to take the challenge with his spectacular Shell-Walker, Corruptor and Thunderjaw. Once again Marius does not disappoint with his latest addition to the Zero Dawn line up, the Watcher recon unit. 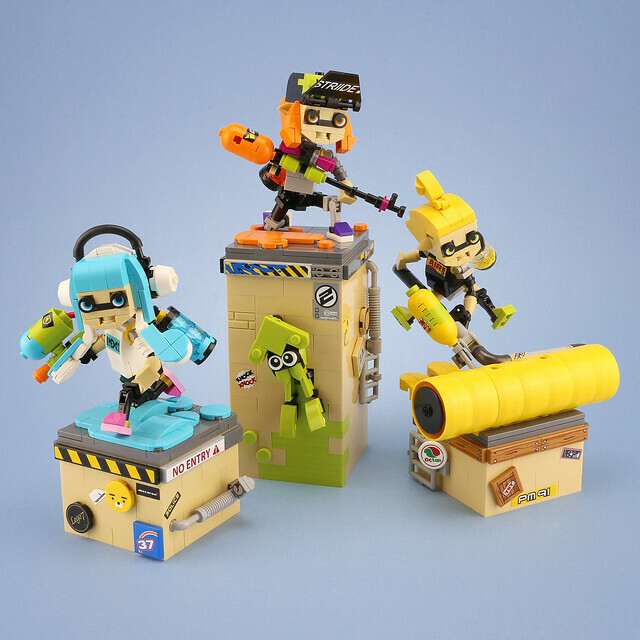 It may be puny compared to other machines in the game, but don’t be fooled. The Watcher can be a ferocious opponent, especially in numbers. Marius brings the Watcher to life with some great techniques and clever parts usage (such as the roller skates used to add a little extra texture to the tail). Those glowing eyes are perfectly creepy, too. 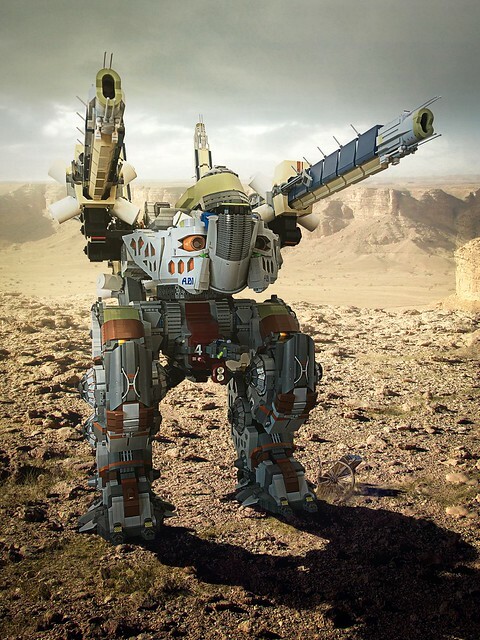 Considering Marius’ successful endeavor to build every Titanfall 2 mech, I’m keeping my fingers crossed he’ll bring us even more from the Zero Dawn universe. 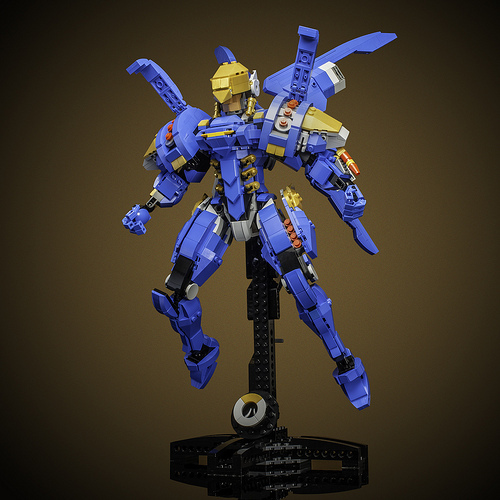 We see a lot of LEGO dragons, but they’re rarely as cute as Marius Herrmann‘s version of digital superstar Spyro. This winged beastie, familiar to PlayStation (and N64 and Xbox One) owners, is a delight, perfectly capturing the cute styling of the character. 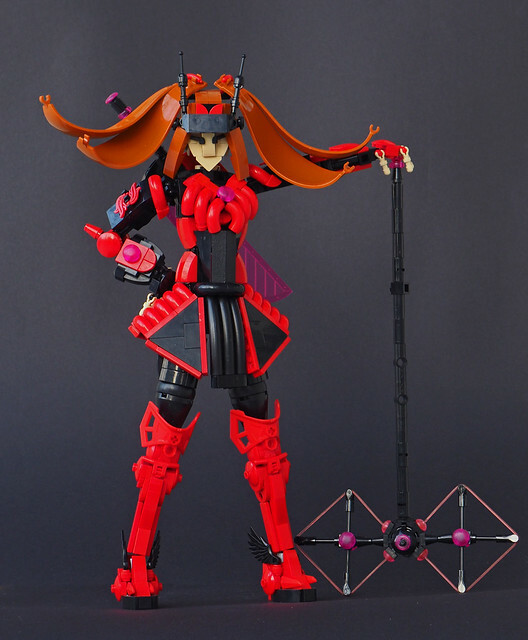 It’s worth taking a close look at this model to check out some of the details. 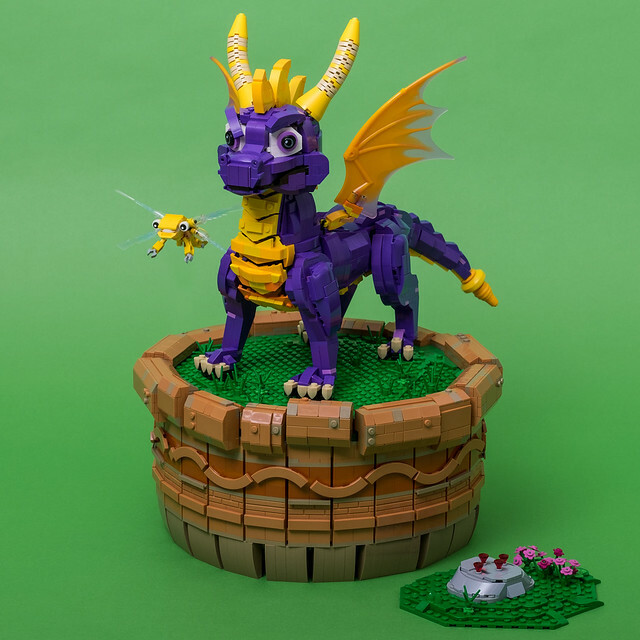 Don’t miss the smart segmenting of Spyro’s underbelly, the subtle ridges down the tail, and the use of dismantled minifigure legs to provide the dragon’s nostrils! 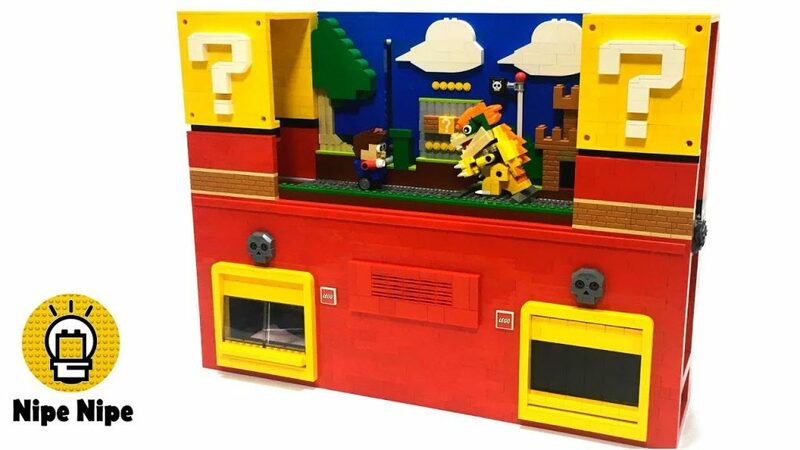 The base is a nice touch, adding more visual interest than simply displaying the model alone, and I love the inclusion of Sparx, Spyro’s flying insect pal. Guardian of the Hyrule Forest. Giver of Quests. Insides infested with Skulltula Spiders. 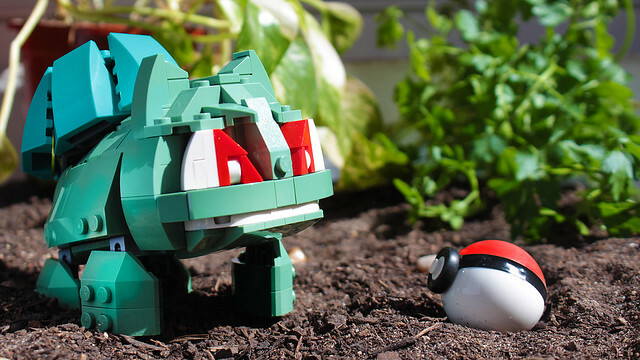 The Great Deku Tree from Nintendo classic Zelda: The Ocarina of Time is given the LEGO treatment by Julius von Brunk. 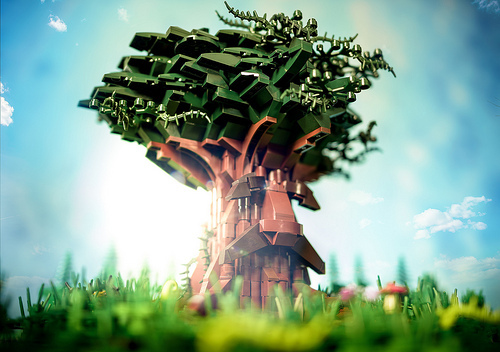 The microscale model is nicely-done, perfectly capturing the tree’s sleepy-looking face. But it’s the amazing photography which sets this creation apart — Julius has combined three images into one to create this stunning look, which manages to make a small model appear much larger. I love how the low angle and out-of-focus foreground foliage gives the tree such physical presence. Excellent stuff.